Skin for MB Actros with 8×4 chassis. But cannot make this truck an AI traffic truck because the chassis causes the game to crash!!! Pitty! The paint job doesn’t show up for me. Other than that it’s a great mod. what dealership do you finde this truck from ? 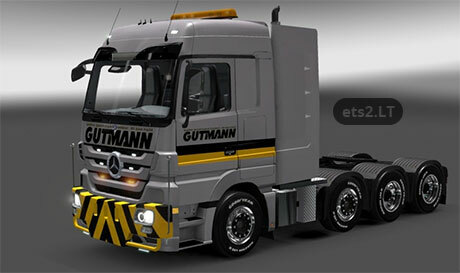 If this would ,e a truck mod (which it isn’t, it’s just a skin) you would find it at the Mercedes dealer ofcourse.